' [Birth Mother] First Mother Forum: Russia halts all adoptions to U.S.
Russia froze all adoptions to the United States on Thursday, satisfying simmering national outrage over a towheaded 7-year-old's rejection by his adoptive Tennessee mother who put him back on a plane to Moscow. A U.S. delegation is due in Moscow in coming days to discuss the crisis with Russian officials. Russia is pressing the United States to sign an agreement that would lay out new conditions for the screening of would-be parents, and would also bind adoptive parents to a strict set of agreements on the treatment of the children. The U.S. Adoption Industry MUST be overhauled. Full psych exams and background checks must be required for ALL prospective adoptive parents who want to adopt internationally or nationally. "Home Studies" are a JOKE. Good for the Russian government! A letter writing campaign to Sec'y of State Clinton asking her to support Russia in its effort to protect its children is in order. Back to the case that caused this "crisis," I actually have a lot of sympathy for Torry Hansen. Returning Artyom was probably the right thing but she should have done it by accompanying him to Russia. Expensive residential treatment might have ameliorated the situation but I doubt that it would have resolved his long-term problems, or hers. The case points to the folly of adopting an older child -- or any child for that matter -- from a foreign country and believing the child will fit seamlessly into the US. Hansen seems to have been unaware that the boy's behavior stemmed from his grief in losing his natural mother (albeit she may have been a drunk who abandoned him). He took his anger out on Hansen, believing she was keeping him from his family. If people are willing to adopt an older child, for goodness sakes, they should adopt a child in the US. Their state will provide supportive services and financial help. Additional support may come from the former foster family and the natural parents. If people want to help children in other countries, donate to relief organizations which help families stay together. Feel sorry for Torry Hansen??!! Jane, reiterating again that the the only negative account we have of Artem's behavior comes from the Hansens who have been proven to be liars. They lied about what the lawyer told them, they lied to Artur, the driver they hired to pick Artem up at the airport, and evidently they lied to the agency.This is all documented. See Marley's blog. There has been no professional evaluation of Artem's psychological problems published, and they sought no professional help for him during the six months they had him. So, are we to believe them about what was wrong with Artem? I do not, because I do not trust liars, and I have no sympathy for them at all. It is immoral and should be illegal to treat a child like damaged merchandise that needs to be returned. And did you hear they had already tried to apply to adopt another child from the Republic of Georgia? They are the crazies, not that poor little kid. Russia on the moral high ground?! Although I doubt it will prod us into action as it should. It is a harsh reminder of what cruelty occurs in the name of the "making families" business. I was aghast at what that adoptive mother had done. What that child will be like when he grows older is a frightening prospect. If the Hansens are crazies as some here have suggested, it's all the more reason the little boy ought to be back in his own country with all that is familiar. The alternative would be American foster care where he would bounce around until he is 18. Oh my! Jane, you are not saying the Hansens did a good thing, are you? I hope it will turn out as good as possible for Artem, but the whole concept of returning children alone to their country of birth is pretty horrifying. The Hansens should never have been allowed to adopt, and they should be prosecuted for what they did to an innocent child. I'm still not getting why there is "sympathy for the Devil" trying to cut the Hansens every possible break. "Returning Artyom was probably the right thing." Only if that was his clearly expressed desire. "but she should have done it by accompanying him to Russia."
. . . and delivering him into appropriate hands that had been informed beforehand of his arrival. "Expensive residential treatment might have ameliorated the situation, but I doubt that it would have resolved his long-term problems"
Nobody knows whether it would have helped him or not. There is no evidence she even tried. Plus - and it's a BIG plus - the word is that she was already negotiating to adopt another child. Pass the Kleenex. My cheeks are wet with tears. "He took his anger out on Hansen, believing she was keeping him from his family." There is always the possibility that he may have been neglected or abused within that natural family and/or the orphanage, and his behavior was in response to that abuse. "If people are willing to adopt an older child, for goodness sakes, they should adopt a child in the US." On the whole I agree with that opinion. "it's all the more reason the little boy ought to be back in his own country with all that is familiar." Why would it be familiar? Russia is an immense country. He comes from the eastern provinces of Russia and doesn't speak Russian. The behavior of the Hansens is indefensible, and I am amazed that so many people have sympathy for them. 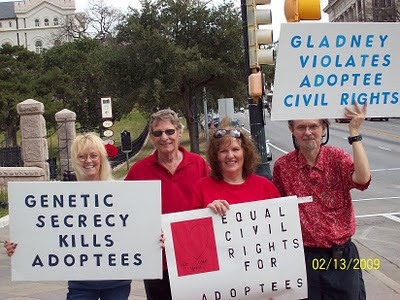 Adoption is primarily a commitment, and the contract only the legal expression of what should be an emotionally profound human connection. The return of a child by a parent who promised to be a parent only adds to the trauma. Unless, of course, you figure this really isn't parenthood.